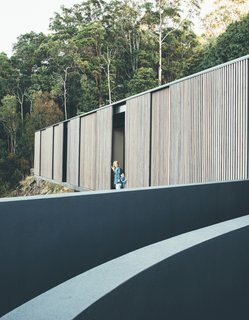 Despite obstacles with steep terrain, Australian architects design a unique facade that maximizes ocean views, cross ventilation, and natural light. 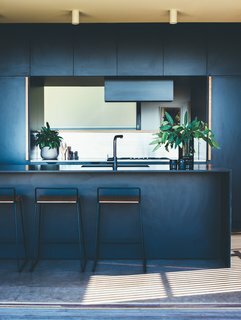 When the talented team at Teeland Architects was approached to build a home on a steep Noosa hinterland, they had no doubt they would face a handful of challenges to integrate the property into its hillside setting. For starters, much of the landscape was inaccessible, and the part that was easy to get to had been dramatically cut and filled without the necessary retaining walls and drainage systems needed to stabilize the ground. 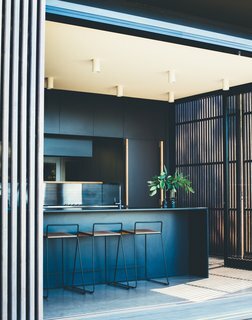 In its simplest form, the new house is designed as an operable glass pavilion that is wrapped in fine hardwood screens, so the owners can control the amount of direct sun coming in. 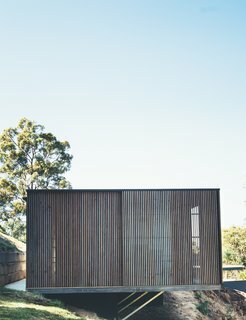 Yet after thoughtful planning, the firm has recently revealed their elegant design of the Tinbeerwah house. Created as an operable glass pavilion wrapped in sliding hardwood screens, the home features an elongated layout that maximizes both family time and ocean views. The sliding hardwood screens provide protection from the hot morning sun, while still maintaining gorgeous ocean views. During the winter, the family can open the screens to let in the warm sun. Yet in the summer, they can close them for shade, and the timber battens will still allow cool breezes to be filtered through. The building is kept low to the ground, so you can step directly from the house into the garden. "We felt there was a great opportunity to use the new house and landscape to stabilize and rehabilitate the land," notes architect David Teeland. 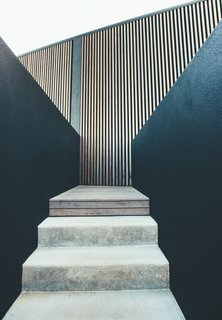 "We designed the new house to work with the existing cuts that had been made previously, utilizing new retaining walls, drainage system and landscape to sure up and repair the ground." The kitchen, living room, and dining room open onto the northeast garden and pool. The bedrooms are pushed to the more private southern end of the site. 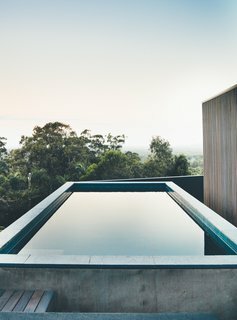 "With steep hinterland sites, it is easy for the house to end up high above the natural ground, making you lose your connection to the earth. 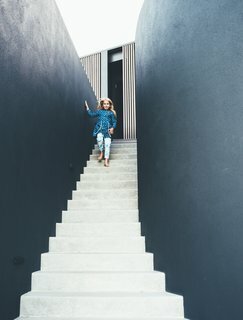 With young children, the owners were eager to be able to step from the house directly into the garden," Teeland continues to explain. 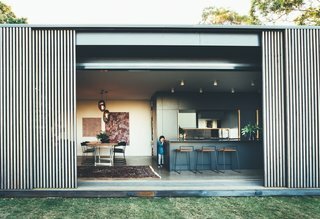 "Working with the existing levels, we were able to configure the floor plan so that the kitchen, living area, dining room, and children’s bedrooms opened directly onto garden spaces to make it easy for the kids to go outside and play." 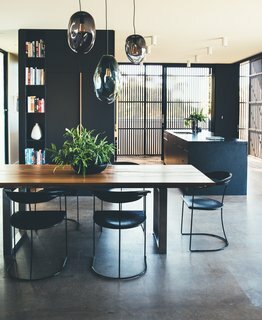 Ample light enters via the sliding hardwood screens, keeping the interiors bright and airy. 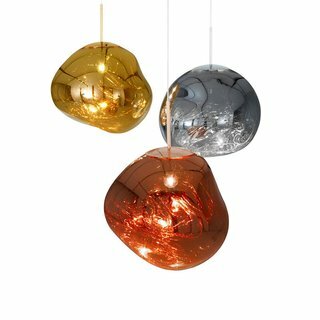 Suspended in a molten hot state, the Tom Dixon Melt Pendant is a distorted sphere that changes in appearance when touched by light. The mirrored profile is created using a vacuum metallization process, which is deceivingly reflective. Rack 'em up. 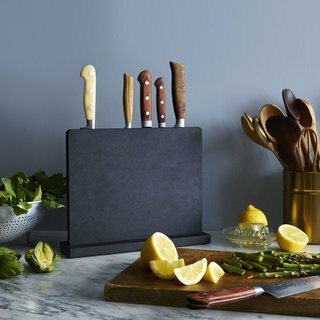 When you think "knife block," you probably picture a big, blocky shape, right? Makes sense, but why not rethink what a knife block can be? This inventive take is designed to slot all your knives of any size together along a thin rack. 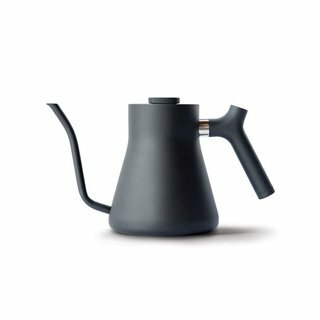 Stagg Pour-Over Kettle’s beautifully functional design kicks your brewing up a notch. Enjoy an intuitive, steady pour with Stagg’s precision pour spout. Keep track of temperature with a built in brew-range thermometer. Green building strategies and sustainability served of great importance throughout the design. The team enabled the home to collect its own solar power and rainwater for use. 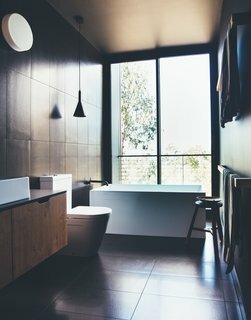 For example, the wastewater from the bathrooms, kitchen, and laundry areas are then treated on site for irrigation and bush regeneration. The floor plan has been designed as a long, thin layout in order to provide a horizontal separation of the public and private areas of the house. 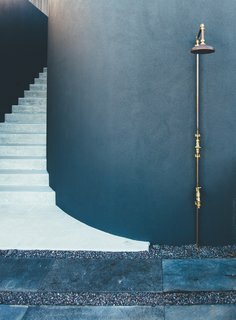 A stairway connects the home to a lower-level swimming pool. "The long, thin rectangular plan is a design strategy that we have utilized on a number of our projects," Teeland further explains. "On any steep site, running a long, thin building along the contours allows us to minimize the amount of cut and fill. It also ensures the building is only one room deep, which maximizes cross ventilation and natural light for the interior spaces." 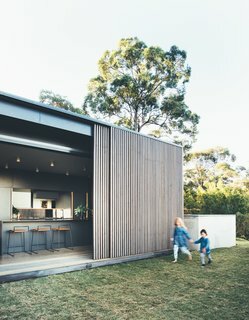 First and foremost, the home was designed to be a comfortable family home. The kid's bedrooms open directly to the garden spaces to make it easy for them to go outside and play. In addition to the pool, there is even a small orchard and terraced vegetable garden. The home is cantilevered out over the hillside site.